I thought of R. See today. I always remember him in May, because that’s when he used to come back to work. One day I would see him by the warehouse, and we’d exchange greetings: “How was your winter?” He had a job dealing blackjack at a casino, and I taught art at a community college. 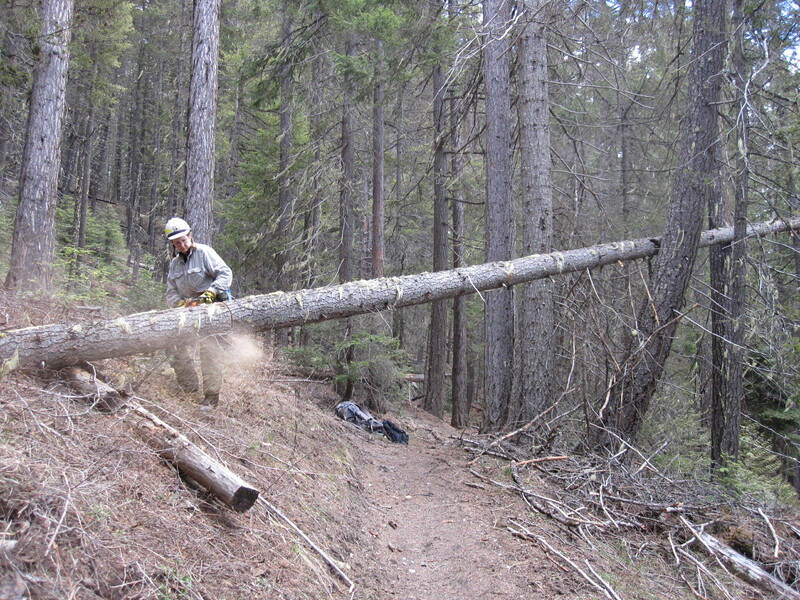 But we always ended up working summers for the Forest Service. I first met R. See on a fire in 1989. He was part of a 10-person crew that met up with my 10-person crew to attend a fire in the Pasayten Wilderness in north central Washington. One of the more colorful characters I’ve ever met, he made up in personality what he lacked in stature. 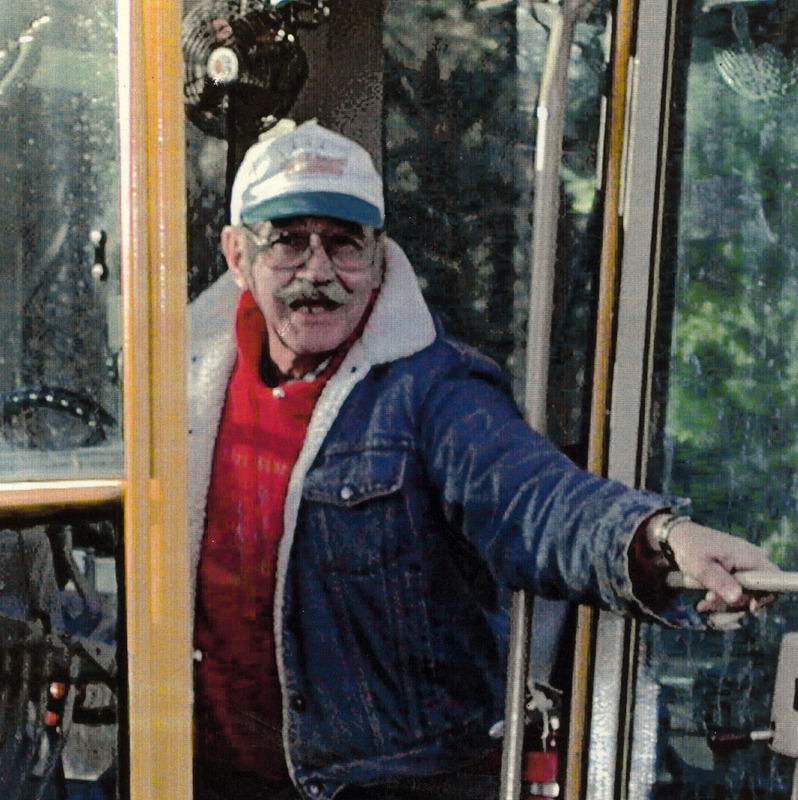 He was dapper, even as a grubby firefighter, sporting a luxuriously waxed handlebar mustache. He seemed a little old to be out there with the college students, but like most of us he was just a big kid. His voice was unforgettable, booming out of his chest with a bit of a smoker’s rasp. R. See never talked too fast, and his words were always clear. He would stand on a stump in the mornings at fire camp and bellow “Line out, dammit!” We all ignored him and trooped up the fireline in our usual haphazard fashion. Toward the end of his career, R. See went to the road crew. Driving the dump truck and water tender was his specialty. I remember him sitting in the back of the room at district meetings. When it was his turn to introduce himself (a tradition at district meetings), he would announce “Richard See, oldest seasonal in the world!” Nobody could top that. That was his last season. The following winter he died of lung cancer, and there was no more booming voice. But every year I hear him anyway. He was a guy who had his priorities straight. Go to the woods. We went today, R. See. Took the Pixie saw, did trail work, got dirty. Taneum Creek is running noisy, and the winter wrens and water ouzels were singing. The first trilliums are blooming and the snow is still melting. The woods are good.